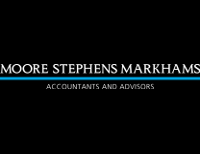 Markhams Chartered Accountants & Business Advisors - We understand businesses inside and out! With a leading network of seven accountancy and advisory firms, Markhams has proudly nurtured and supported New Zealand businesses to be their best. It's not only about doing the numbers. It's about knowing your business goals and getting you there. With Markhams on your side, access trusted advice, gain insight, and set realistic business plans grounded in strong financial acumen. Trust Markhams to guide your business to success. We will provide you with accountancy and business advice when your business needs it - not just when you ask for it. Markhams' principals and senior managers work with you to support your business. All of our clients are actively supported at the top level in the development and the implementation of their business strategies and have direct access to expert accountancy and business advice. It's about your business and your success. Let's start now! Call us today for more information. We have a strong network of seven independent chartered accountancy and business advisory firms across New Zealand. We are reputed for delivering personal attention to every client. We have a combination of local market knowledge and a global network of expertise and knowledge .